At least 662 million of the world’s children will – before they even get a chance to make something of their lives – be deprived of or disadvantaged in accessing healthcare and education, and will also be disadvantaged in their living standards because they experience acute poverty. That is their daily experience – deprivation. Half of the 1.3 billion people living in poverty in 104 countries are younger than 18 years and are considered multidimensionally poor, and 46% of the 1.3 billion are thought to be living in severe poverty. This is according to estimates from the 2018 global Multidimensional Poverty Index (MPI), released recently by the UN Development Programme (UNDP) and the Oxford Poverty and Human Development Initiative. These children will face even more deprivation, measured by 10 more indicators. These include nutrition, meaning they could face undernourishment or stunting; years of schooling, meaning they could possibly not complete school; and living standards, meaning access to safe drinking water, electricity and sanitation may be compromised. The global index is computed using data from the most recent demographic and health surveys, multiple indicator cluster surveys, the Pan Arab Project for Family Health and national surveys. “In understanding what is happening with poverty, in extreme poverty and also this phenomenon of inequality – we are in desperate need of better answers and insights into how fundamentally divisive poverty and inequality has become in our societies,” said UNDP administrator Achim Steiner at the launch of the report. “The phenomenon of measuring on per capita index or income has also proven in some respects to be a ‘proxy indicator’, but if not complemented by other understandings in multidimensional poverty, it could point to the wrong direction,” he continued. Sub-Saharan Africa bears the brunt of poverty, as approximately 83% of all multidimensionally poor people live in the region. According to the report, about 560 million people in the region live in multidimensional poverty, 342 million of them severely so. In South Asia 546 million are multidimensionally poor. “The story that we must bring to the world is that development can work, but as these numbers show us it hasn’t yet worked in enough places or for enough people. Too many are still being left behind – 1.3 billion people actually, according to the Multidimensional Poverty Index. “But behind that lie stories of literally hundreds of millions who have escaped poverty as a consequence of deliberate, designed development interventions,” Steiner added. For example, in India, the first country for which progress over time has been estimated, 271 million people moved out of poverty between 2005-06 and 2015-16, and the poverty rate has nearly halved from 55% to 28% over the 10-year period. The global MPI was designed to be used as a tool for policymakers to design efficient multisectoral, pro-poor policies. Selim Jahan, director of the human development report office at UNDP, said in a statement: “The Sustainable Development Goals call to eradicate poverty in all its forms everywhere. 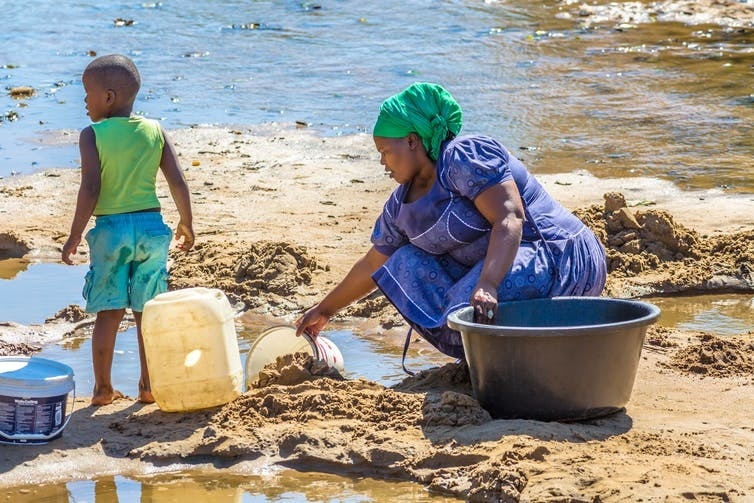 Which development interventions could eradicate severe poverty in South Africa?